Anger has a lot to tell you. It can help you realize when you are feeling “stuck,” and to identify actions you need to take. Poorly managed anger, however, can be very destructive. All of your relationships may be affected, including those with your spouses, children, co-workers, and friends.Women are often taught not to express anger, or to even feel anger. Some women are aware only of feelings of depression, low self-esteem, or of being untrue to themselves; this is what they feel when they bury their anger. Men are often taught to express their anger as a way to appear strong. They are taught to “be a man” and “don’t act like a girl.” Fear and pain are often underneath anger, yet men often lose touch with those feelings and are only aware of a discomfort that can be temporarily discharged through aggression. At Connections Counseling Center, our anger therapy is for people who are not court-mandated, who simply want to learn more productive ways to get their needs met. “Do my expectations of myself and others cause frustration and anger? “What are my feelings beneath my anger? 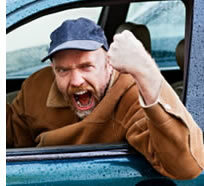 Anger Therapy can be facilitated in individual, couple, family, or child/adolescent counseling. For information on Anger Therapy groups and the free Understanding Anger workshop, please visit www.AngerDefanger.com.